Are you confused, frustrated, not knowing who to trust! Just ask Rachel. So I’ll start off by saying that I’m a CPA. I know my numbers. I ran my numbers several times and that’s when I decided to use this service. My family of 6 was relocating from CA to NY. I really had to do my research to keep my costs down because the relocation company gave us a rather small relocation allowance. I spoke with over 10 moving companies in detail. Some even came to my house to approximate the cubic feet of my stuff. The estimates were either ridiculously high or low with many caveats. When I repeated in writing the details they had committed to, they immediately changed their story. It was either a charge per box, or they wouldn’t commit to a time frame of arrival, or they lied about it being an exclusive transport when it wasn’t or they would charge for any additional space used regardless of their best estimate. There was always a detail where they’d “get you.” I was so disgusted. I figured there must be a better way to move cross country, knowing exactly what you are paying with no surprises or bate and switch. I came across an article on CNBC that mentioned Frank’s company and decided to look into it. I was so impressed by the reviews online and the time Frank took to speak with me and walk me through the process. He even gave me tips on how to reduce the cost of the truck rental. I’m so happy to share that everything went as smoothly as anticipated. I paid exactly what I expected to pay. Julian, our amazing driver, delivered the truck within 5 days. He kept in touch with us along the way letting us know where he was. The cargo came in perfect condition. Julian transported our sedan as well and it arrived without a scratch. At the end when looking at the numbers, we paid 15% less than the average estimate, and our belongings arrived within five days compared to an industry average of 21-28 days. I definitely recommend this company! A+++++ Rachel R ★★★★★ You can find this review on the Better Business Bureau. Does Your Upcoming Move Have You Frazzled? Such A Stressful Event! What To Do? We Take The Stress Out Of Your Move. Excellent service!! I was extremely happy with Frank and my wonderful driver Ben. From the first day I contacted Frank he took my request as if he were helping a family relative. He helped me arranging for my truck ( and got me a lower price than the one I initially got from the ***** company). I couldn't be more lucky to have found Frank and my driver Ben. Both very professionals and respectful people. I would highly recommend this company and no doubts I will be using Frank's services next year. Thank you very much for making my move to ****** less stressful and for your emotional support. The price was right!! Thank you both Ben and Frank. Nathanya B. 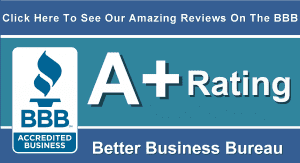 You can find this review on the Better Business Bureau. Professional, reliable, and I saved a ton of money on hiring Rented Truck Driver instead of a moving company. “Sometimes we get lucky and connect with the right person……that’s what happened in my case with you! “My husband and I found Frank’s site online. We opened up an office in San Antonio and gave ourselves a year to get the new office/location on solid foundation. We had a need to move our personal items back to Dallas where we live. Upon reading all the testimonials and then talking to him by phone allowed us to feel comfortable to hire his company. We were assigned an AMAZING driver, Sonny! (emphasis added) Communication was excellent. He arrived at the pick up destination on time, with a smile, and he made me and my daddy feel comfortable handing over the keys. Apparently, we picked up the U-Haul truck without it being a full tank as we were told, but Sonny filled it up for us – NO PROBLEM. Sonny arrived at our home in Dallas from San Antonio within the range he told us. My husband was there to accept the keys, the truck and everything was stress free! We really appreciate all that you've done on our behalf and your professionalism! Thanks Frank for all your effort on the road to resolve this for us, I know it has been a rough few days, we really appreciate all that you've done on our behalf and your professionalism! I know many people would have just taken off.You are welcome to stop by the office anytime if you're in the city.Thanks again, and have a safe and hopefully uneventful flight home. My wife and I recently moved to Chicago in a move was logistically challenging with all of my stuff coming from Boston and all of her stuff coming from Buffalo. A full service cross-country move with two source locations would have been astronomically expensive, so we hired Frank to drive a 16 foot Penske truck from Boston to Chicago with a stop in Buffalo to load additional items.Frank got to Chicago and Buffalo exactly according to schedule, was dependable and responsive throughout the journey, and most importantly, all of our things arrived in Chicago unharmed! We would highly recommend Frank's service for any long distance move. Frank & team are timely, thorough, and fantastic people to work with. They do a great job of helping their clients through the entire trip. Flexible and can make anything happen for you. We'll keep coming back to Frank for all of our tour needs. Flexible, trustworthy and professional. Happy to have found RentedTruckDriver.com and would recommend to anyone as it is more affordable to rent your own truck and rent a driver. 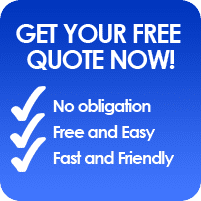 Licensed and Insured professional drivers will execute and you will save money. Ask for driver, David B. he is the best. My driver canceled two days before my move. I contacted Frank and he hooked me up at the last minute. He did not take advantage of my situation and charged me a fair and reasonable price. Anthony (the driver) was the consummate professional and arrived on time and under budget. One of the best decisions I ever made. Thanks Frank, even though I did not hire Frank’s company he gave me The confidence to continue driving after a major panic attack. I was delighted to receive such straight-forward insight and advice! And Frank actually talked me *out of* hiring him to drive my Uhaul truck across country. *That’s* the kind of honesty and meaningful customer service you just don’t find today. Kudos, Frank! After finding ourselves with a 26′ rental truck that needed to go from Las Vegas to Texas with no one to drive it, your service was a life-saver. Your driver, Anthony, was both capable and reliable. He got the truck there on time without any problems. If we ever find ourselves in need of a driver again, you will be the first phone call. Frank Futie is the most experienced and capable driver I’ve ever done business with. I hired Frank to drive from New York to Mississippi pulling a 26 foot truck with my car in full tow. It was a three days drive. During that time, the truck broke down three times, once leaving him stranded for 8 hours. Not only did Frank have my truck in Mississippi at the originally scheduled time, he also handled the difficult task of having the truck company reimburse me and got me $1000 back. I can’t thank Frank enough for his kindness and hard work and I’m convinced that he and his crew are more than qualified for any job at any level of difficulty. Frank Futie drove our laden car from Greenwich, CT to Sarasota FL in mid-winter and back again in late winter, through sleet, snow and gloom of night. He was very efficient and dependable, and pleasant to deal with. We have no reservations about his performance and intend to use him repeatedly in the future. Frank provided me honest advise on my move from NYC to Denver, and provided me with a reasonable estimate and in fact, laid out the options from renting a U Haul truck, trailer or starting fresh and buying new furniture and gave me great suggestions and guidance to think about. Frank Futie is simply the best there is. Let me explain–I’m a partially disabled veteran who recently moved my family and our belongings via a U-Haul 26-ft truck, from Northern Virginia to Central Florida. Because my legs and hands go numb after 5 minutes of standing and after a few minutes of driving, I would not have been able to drive that U-Haul truck cross country. Frank fortunately agreed to drive the truck, which contained all of our worldly belongings. It was no easy task for this super professional to accomplish, however. First, Frank had to take a train to the DC area; then, he had to take a taxi to where I had the U-Haul truck pre-positioned, which was in a hard to find residential area; and once the truck was located, Frank needed to immediately start driving on a multi-hour mission from NoVA to Florida. Along the way, Frank professionally dealt with unexpected and dangerous inclement weather; a malfunctioning truck; a ridiculous lack of air conditioning; and, the fact that I had neglected to provide him with the truck’s registration documents. However, because of obvious top notch dedication to the customer, Frank successfully overcame all of the challenges thrown his way and delivered the truck to me safely and on time. I honestly don’t know what I would have done without Frank’s superb driving service. Frank not only became a hero to me and my wife, he clearly demonstrated to us that he’s a savvy and compassionate businessman and in my opinion, the epitome of class. This retired military guy has the ultimate military compliment for Frank–I’d go into battle with him any day, any time! BOTTOM LINE: I’d hire Frank again in a nanosecond; and, I confidently advise anyone else to definitely use the services that Frank’s company provides. He and his company are a cut above. My hubby and i desperately needed somebody to drive our u-haul to Bayonne port unaccompanied, Frank did a wonderful job. He came on time and was able to deliver the truck on time, above all, our belongings were safe and intact. We will absolutely use him again. Thanks Frank! I want to thank you again for all you did to help us get our aunt moved. Happy Thanksgiving to you and yours! Hire Frank Futie to drive your Uhaul truck and you will not be disappointed. He knows what he is doing and does it with determination and integrity. We hired a moving company to pack and load the truck even after Frank had said he could handle the total move. When the moving company didn’t show, Frank did the packing and loading of the truck and then drove it from NY to GA and then to TN and still got here when he said he would arrive. He communicated extremely well during the process and also called to check on things after he returned home. I would hire him again without hesitation and highly recommend him to anyone needing a driver. Frank was very professional and went above and beyond to help me with my move. He put me very at ease with my move to a new city and I would definitely recommend him if you want a friendly, trustworthy, affordable mover/driver. We recently used Frank to drive our daughter’ car and all of her belongings to her college from Philadelphia to New Orleans. He was very professional and reliable. Everything turned out exactly as he promised, making it a very stress free experience. We are very comfortable recommending him and also plan to use his services again. I called Frank & his crew to drive a uhaul for my family across the South from the West Tx area, Midland to South Central La area, Lafayette area. Frank went above & beyond,taking his time to get us the best possible quotes, including his travel to & from us. His quote for the entire trip was equal to him driving us for practically nothing bc airfare was so high to get to us. He definitely tried his best to make it as affordable as possible. His customer service was fantastic! I had a long move in 2013 June – 26 foot penske truck with all household belongings. The Penske truck was also attached to a tow dolly which was a full car carrier-where all 4 wheels of the car are off the ground. I was able to talk to Frank by phone and work out all the logistics of making the move with him as the driver of the penske truck. I arranged for the travel expenses for him to travel to maryland from newyork and also flight back feom louisiana to newyork. he arrived on time and immediately got ready to be on the road- as the penske truck was fully loaded and kept ready the day before. He was pleasant and answered all my concerns and also was reachable by phone during the trip. He drove the 1100 mile journey in 2 days and had no problems in driving a 26 foot truck with a full car carrier attached, and everything arrived safely. His charge for the move was also very reasonable. I will definitely use his service again and will recommend him as a driver when you want to make a move- local or long distance – he is dependable and as a fellow brother in Jesus Christ, the true son of God. I was very happy to involve him in making this long distance move. I want to thank you for your help in moving our things to Maine recently. I appreciate the fact that you were available when we needed you, that you did what you said you’d do, that our furniture was delivered on time and in good condition, and that your cost estimate at the outset was what you invoiced us when the job was completed. If we have another move on the east coast, I will definitely be in touch, as it was a very nice experience working with you.